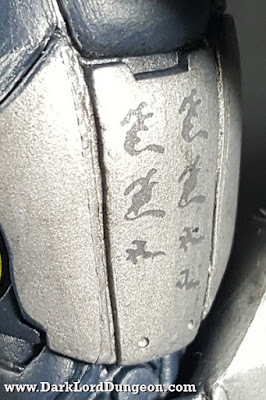 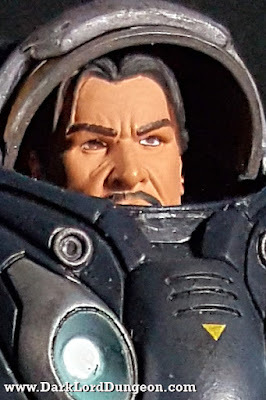 There was nothing much on the blister card, about Jim Raynor, but the Heroes of the Storm wiki from where this particular version of Jim Raynor is from, describes him as "Jim Raynor, the Renegade Commander, is a ranged assassin hero from the StarCraft universe. The Ex-Confederate Marshall has stood against whatever the universe can throw at him and survived. 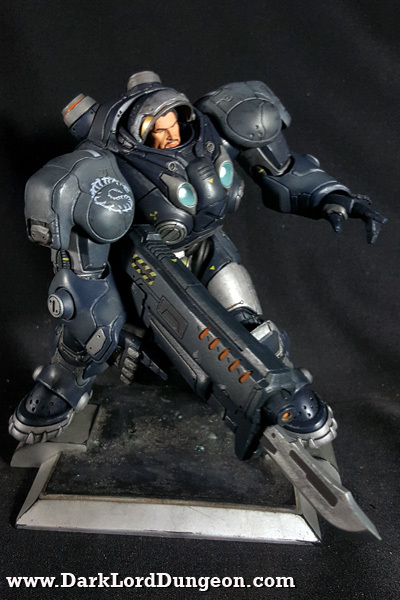 He stands as a bright beacon of hope among enigmatic aliens and monsters, still fighting for justice in a cold uncaring universe." The wiki goes on to describe him as a Basic Attack Assassin that can keep enemies at bay. 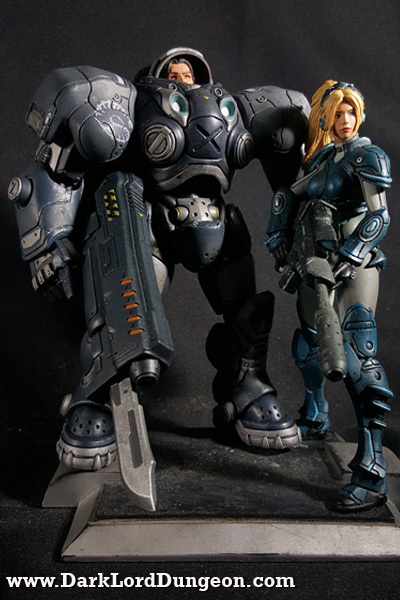 Raynor: You up for this, darlin? 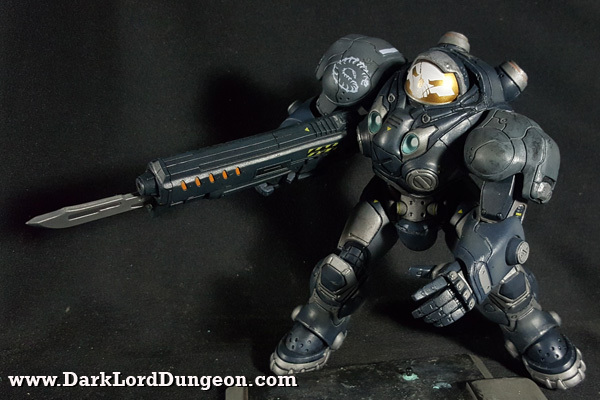 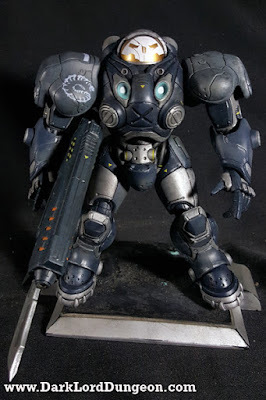 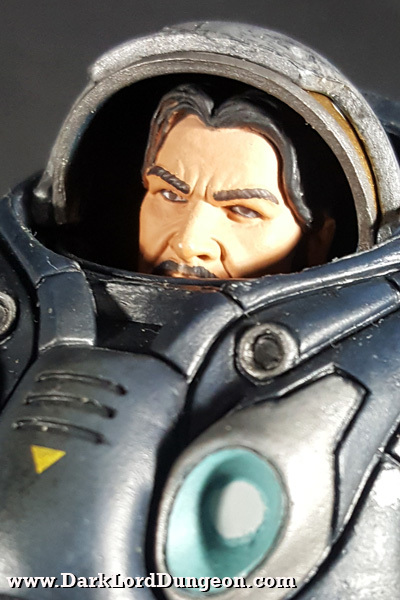 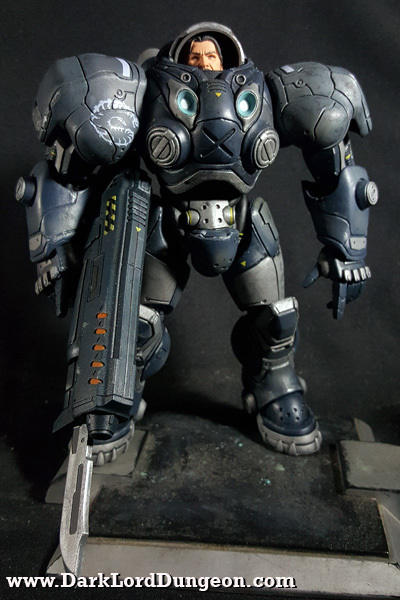 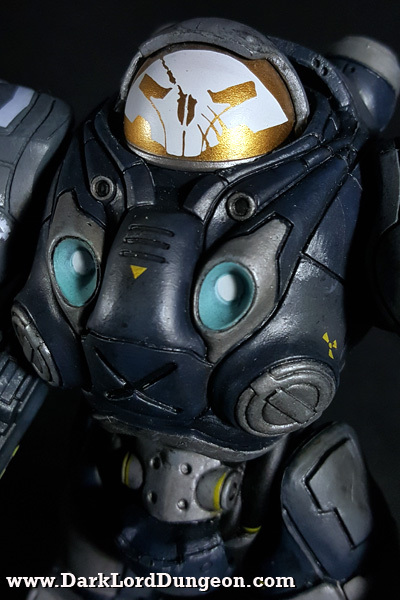 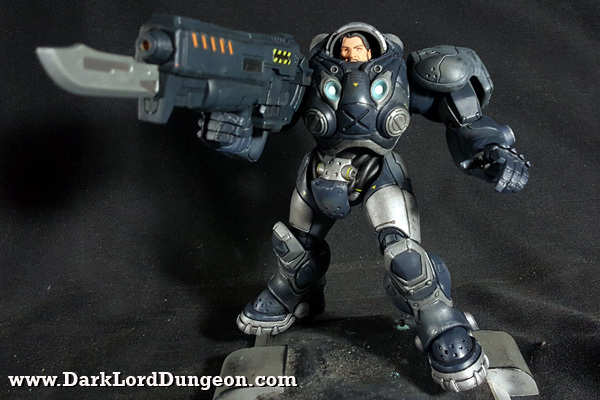 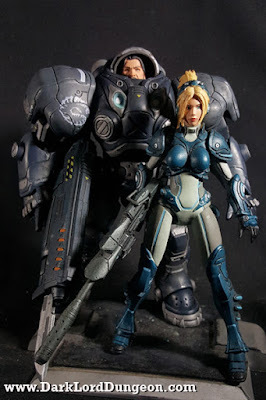 WHAT'S TO LIKE ABOUT THE NECA HEROES OF THE STORM STARCRAFT JIM RAYNOR ACTION FIGURE? 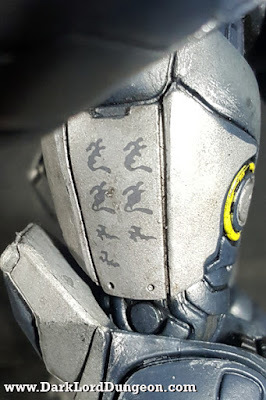 FIRST: Like November Terra, what NECA gives up in terms of articulation, it more than makes up for in terms of detailing. 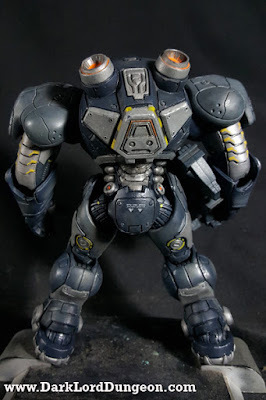 (Although Nova Terra has more articulation). 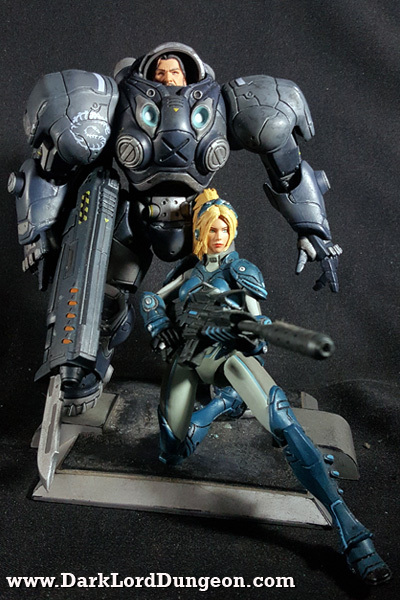 So they definitely belong on display side by side. 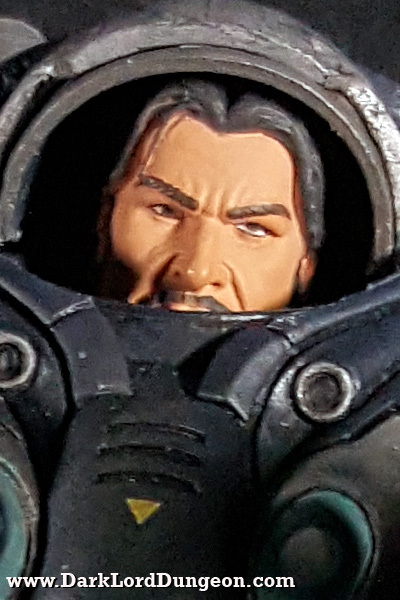 WHAT'S NOT TO LIKE ABOUT THE NECA HEROES OF THE STORM STARCRAFT JIM RAYNOR ACTION FIGURE? 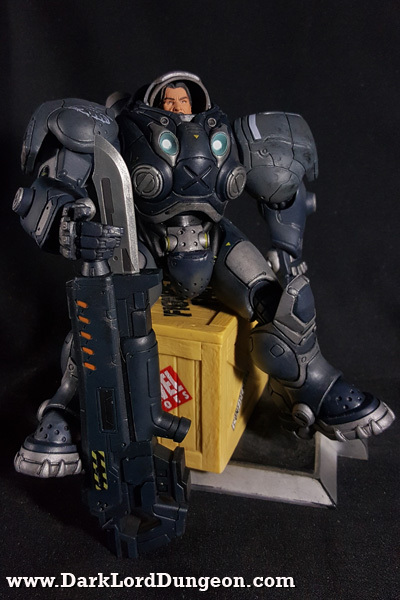 FIRST: That is a really frakin big gun, and he can barely hold it. 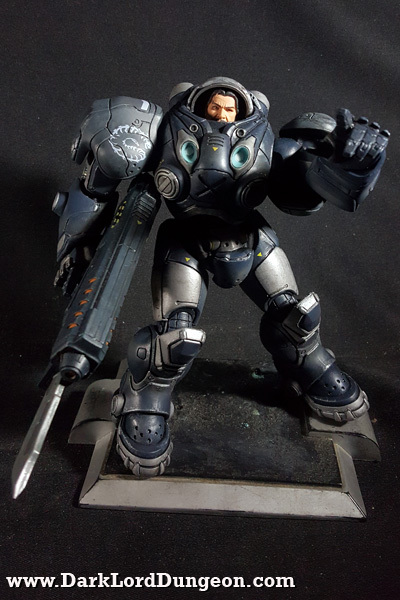 No, he can't wield his C-14 Impaler Gauss Rifle with both arms because his arms don't reach that far across his rather bulky chest plate - so Jim Raynor only has one arm for his rifle. 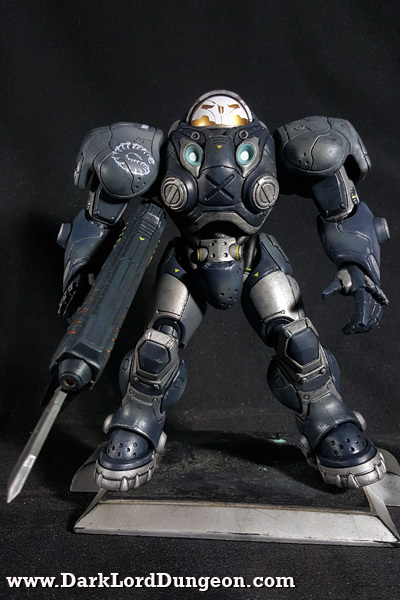 Note that the Impaler has its bayonet extended. 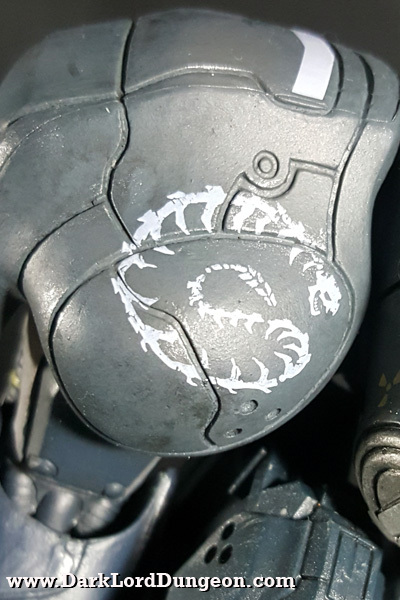 It cannot be removed or retracted. 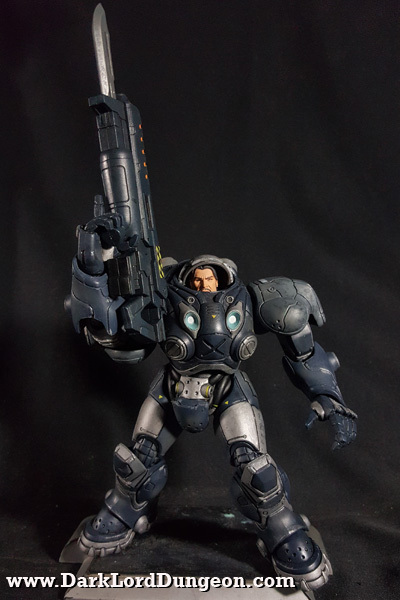 It would have been great if Raynor came with the revolver side-arm that he's known for in Starcraft, but we guess he doesn't use it in Heroes of the Storm. 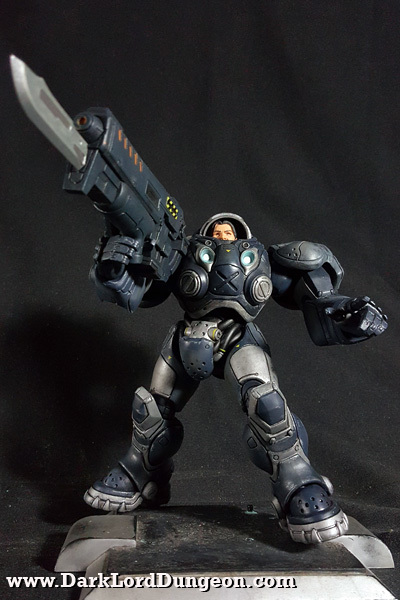 Neca's 7" Heroes of the Storm: Starcraft James Raynor Action Figure is available on Amazon for around 42,99 (Roughly PhP 2,364 plus shipping).